It’s that time of year again; gardens and farm stands are filled with an abundance of fresh vegetables. While exciting this can be overwhelming: how can we make the most of this short season? Certainly some foods can be preserved or stored for winter months, but others are not suited to long term storage. Although I’ve learned you can pickle lettuce, all the recipes I’ve found are for short term storage as opposed to the longer term pickling I usually think of. To help us all fully make use of this short season I’ve selected a variety of cookbooks. I hope you find them as inspiring as I have. 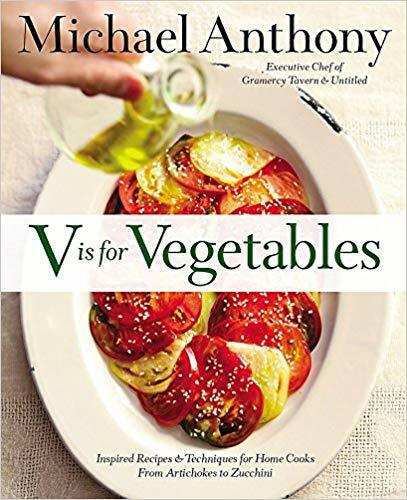 Let’s start with V is for Vegetables: Inspired Recipes and Techniques for Home Cooks from Artichokes to Zucchini by Michael Anthony. I admit I was drawn in by the title as a former Children’s and Youth Services Librarian. Alphabet books are just such fun! Impressively every letter is represented although some are a little bit of a stretch; extra-virgin olive oil stands in for x. One of my favourite elements of this book is the assertion that “a recipe is a sketch, not a blueprint.” Anthony freely gives the cook the opportunity to substitute as necessary. So if I have a ton of zucchini and no kale, no problem! The book is not vegetarian in content but rather plant-based so you may find meat as a part of a dish, but the vegetables we’re using are the key components. Maybe you’d like to know a little more about the different vegetable families. To help us in this mission we have the ever gorgeous Vegetable Literacy: Cooking and Gardening with Twelve Families from the Edible Plant Kingdom, with over 300 Deliciously Simple Recipes by Deborah Madison. Certainly the word literacy doesn’t hurt given the long history of literacy and libraries, but it’s the recipes that make my soul sing. It was a true pleasure to read about the veggies and then find the perfect recipe to use them in. We often talk about using the whole animal, but not so often the entire plant. 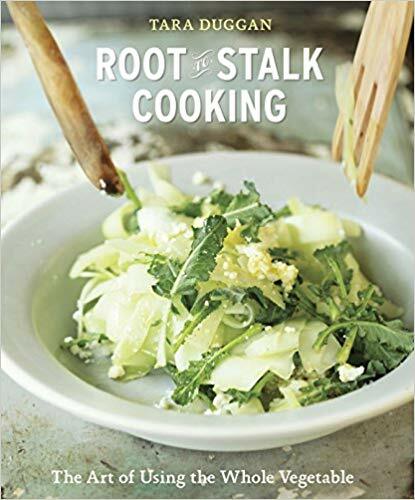 Root to Stalk Cooking: The Art of Using the Whole Vegetable by Tara Duggan fills the void we might not even have been aware of. Like most of the other books featured in this column we’re looking at plant-based recipes. If you aim to waste as little of our precious veg as possible, this is the book for you! 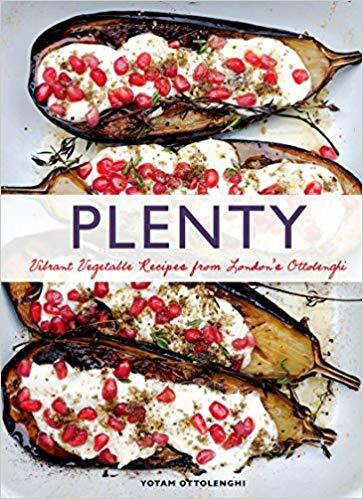 The one vegetarian book I’ve included is Plenty: Vibrant Vegetable Recipes from London’s Ottolenghi by Yotam Ottolenghi. Some of the recipes included are a little fancier, but they beautifully showcase what you can do with vegetables. The author is not himself vegetarian and may occasionally “refer to meat and fish in the introductions to the recipes”, but none of the recipes require meat to make a meal. It’s a very personal recipe book organized around the author’s favourite ingredients and in a manner which makes sense to him. This makes for a book that is as much an enjoyable read as a good cookbook. Last but certainly not least I’d like to share Mr. Wilkinson’s Vegetables: A Cookbook to Celebrate the Garden by Matt Wilkinson. I was immediately won over by his essential tips, the first of which is to clean up as you go. This is the goal I always aspire to and sometimes succeed at! The second tip is that once you’ve selected a recipe to take the time to read it over with a beverage of your choice (his suggestions are tea or wine, but it’s truly up to you). Read it over several times ultimately creating your own notes to cook from. This weekend I will be trying this method using at least one of the cookbooks from this column. I hope these books provide you with as much enthusiasm as they have me. May your late summer and fall be filled with the earth’s bounty.